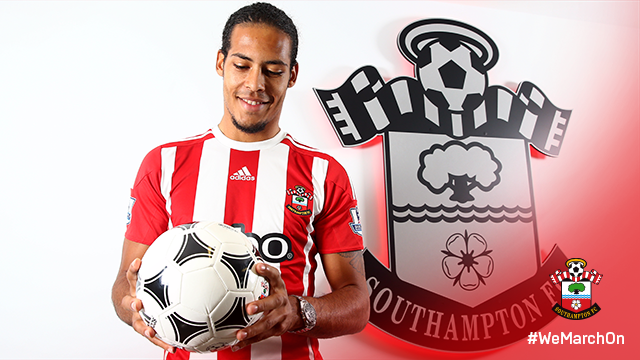 On the 1st September, the long running saga that was the Virgil van Dijk to Saints transfer, eventually concluded with a reputed £11.5 million deal with Celtic. The 24 year old Dutchman signing a five year contract with Saints. Van Dijk spent just over two years at Celtic, playing more than 100 games and scoring 15 goals. He started his football career with FC Groningen, playing in the same squad as Dušan Tadić, and has represented his country at under-21 and under-19 levels, but not yet at the senior level. Saints Les Reed was quoted as saying “We’re delighted to have finally got Virgil into the club after long and lengthy negotiations." “We’ve had Virgil in our system for a long time and have explored the possibility of signing him in previous transfer windows, and this year we had a really strong opportunity to do it." Sounds very much like he will fit right into the Saints way of working. I look forward to seeing him playing in the next few weeks.